In this prospective study, symphisis fundal height (SFH) was measured in centimeters at different weeks of gestation from 20th week onwards in 100 healthy women with uncomplicated pregnancies. A curve was plotted based on the mean SFH measurements with standard deviation. Readings were also arranged on the basis of 10th, 50th and 90th percentiles. Percentile curve was similar to the curve based on mean with standard deviation. The rate of growth was 1 cm per week between 20-32 weeks. Thereafter, there was a slight fall in the rate of growth. SFH measurement is a simple method of foetal growth assessment which can be utilized even by paramedical workers to screen for small for gestational age babies. It is better to have a standard curve derived from the population as there is regional variation. Cisplatinum based chemotherapy has become the standard treatment for ovarian cancers due to its proved superiority over non-cisplat based regimes. However, the therapeutic impact of cisplat based regimes compared to cheaper non-cisplatinum based regimes is questionable when multiple variables such as residual disease, histologic type, grade are introduced. This report is a study of 110 Stage III ovarian cancer patients from 1985-89, with cisplat (n = 69) and non cisplat (n = 41) based chemotherapy. The results of both regimes with reference to the multiple variable factors are presented. We conclude that cisplat based regimes appear to be superior to non-cisplat based regimes except probably in poorly differentiated ovarian tumors where the results were similar with either regimen. 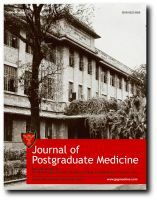 In this study medical treatment with alpha blocker-prazosin is compared with transurethral resection of prostate (TURP) in 62 patients suffering from benign enlargement of prostate with a gland size of less than 20 gms. After thorough interrogation patients were offered either TURP or prazosin therapy. Symptom scoring, residual volume of urine and urinary flow rates were estimated in both the groups before and 3 months after the therapy. 23.5% patients in prazosin group while 90% of patients in TURP group had significant improvement. This distinctly brings out the superiority of TURP for benign enlargement of prostate. 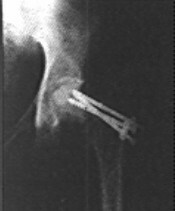 A review of the method of performing, advantages, disadvantages of McMurray's displacement osteotomy with regard to treatment of nonunion of transcervical fracture neck femur with viable femoral head was carried out in this study of ten cases, in view of the abandonment of the procedure in favour of angulation osteotomy. Good results obtained in the series attest to the usefulness of McMurray's osteotomy in the difficult problem of nonunion of transcervical fracture neck femur in well selected cases with certain advantages over the angulation osteotomy due to the 'Armchair effect'. 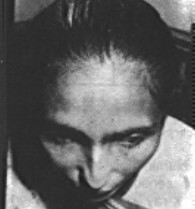 Prevalence of Shigellae serotypes in Bombay was studied from June 1988 to May 1991. A total of 2758 faecal specimens were collected from paediatric patients (< 12 yrs) with acute gastroenteritis. A total of 90 Shigella were isolated giving the isolation rate of 3.2%. Shigella flexneri was the predominant serogroup (73.3%) followed by Shigella dysenteriae (16.6%). All the isolates were sensitive to nalidixic acid. Eighty percent of the Shigellae were multidrug resistant. Present data were compared with the study carried out during the period of 1983-87 from the same institute. A change in the serogroup prevalence was noted wherein Shigella flexneri dominated over Shigella dysenteriae since 1985. Increase in resistance to ampicillin and cotrimoxazole was seen in Shigella flexneri strains as compared to previous years. A one day old neonate with a short colon, associated exomphalos minor; bifid scrotum and ileovesical fistula is reported. The clinical profile of typhoid fever in an infant is variable and non-specific. A rare case of typhoid fever in a 7 month old infant is reported. 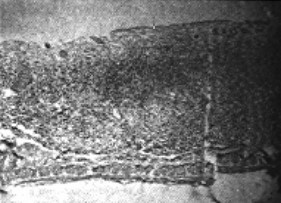 The child presented with only a day's history of fever and loose motions which resulted in severe dehydration, acute tubular necrosis and death. The diagnosis of typhoid fever was made only on post-mortem study. The problem in diagnosing typhoid fever in a young infant is highlighted with a brief literature review on the subject. A 54 year old male who had an unusual clinical manifestation and radiological features proven to have tuberculosis arthritis of the knee on synovial biopsy is presented here. A case of Waardenburg syndrome with unusual features such as anisocoria, exotropia is reported. A very rare case of solitary osteochondroma of the knee is reported. The patient presented with a slowly growing retropatellar bony tumour of 4 years duration following a minor trauma. An excisional biopsy with a total patellectomy was performed as the patellar articular surface was unsalvageable. A 20 month follow up revealed no recurrence and a functional knee. A brief review of literature is also presented. 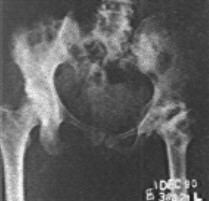 Total hip arthroplasty was performed in a patient who had tuberculous hip, quiescent for the last 15 years, without pre or postoperative anti-tuberculous chemotherapy. At a 27 month follow up, there has been no evidence of reactivation. A brief review of relevant literature is also presented.